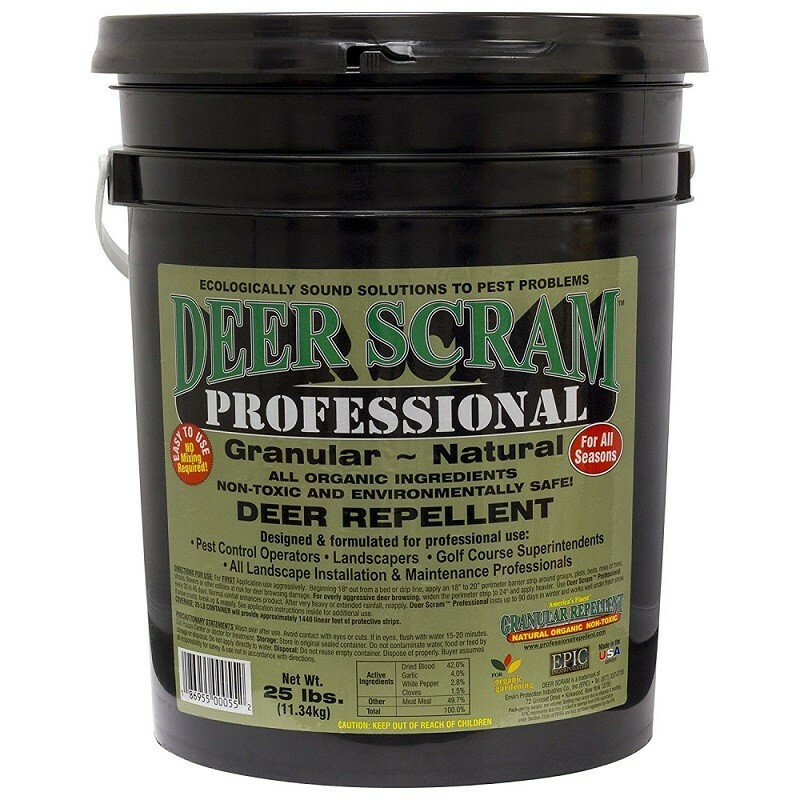 PRODUCT DESCRIPTION: Granular deer repellent designed to keep foraging deer off your grass and out of flower beds. 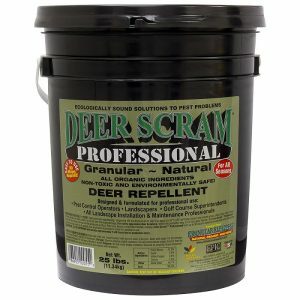 Using all natural, organic ingredients, this product is safe for use anywhere, even in organic gardens. WHERE TO USE IT: Around the property to create a "fence" over which deer will not walk. This band will remain active for 30 days or more; up to 90 days during the winter. RATE OF APPLICATION: Create a "line 18-20" wide along property borders or around flower beds you want to protect. For aggressively feeding deer, make the line 24" wide. Retreat once a month until deer are no longer seen in the area. After that, every 45 days to ensure they don't return. 1 pail will treat up to 1440 liner feet.